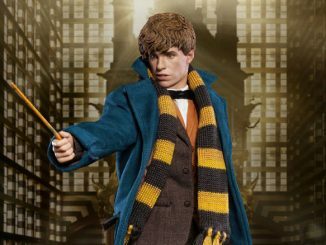 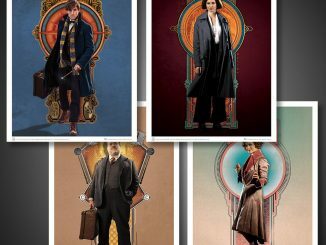 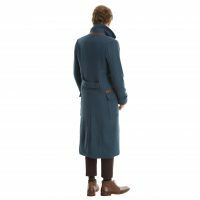 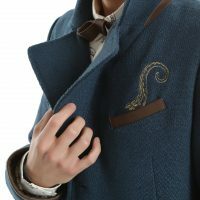 The magical beasts might escape but you’ll have a firm grasp on style with the Fantastic Beasts And Where To Find Them Newt Scamander Overcoat. 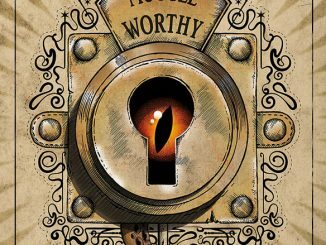 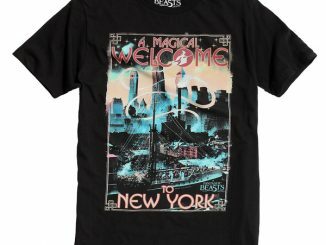 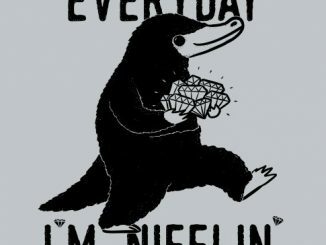 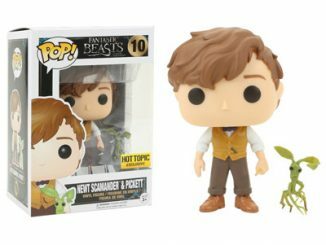 So you’ve had a few fantastic beasts slip free of your enchanted suitcase and you’re wondering what would Newt do? 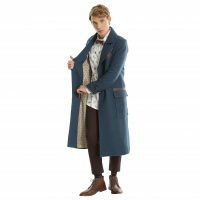 Well, he’d show up rocking some serious style and that’s an easy trick for you to pull off with this teal, textured, stadium-length jacket. 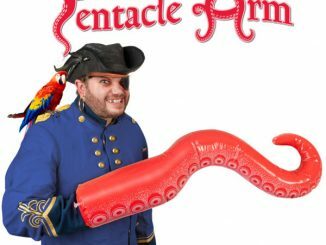 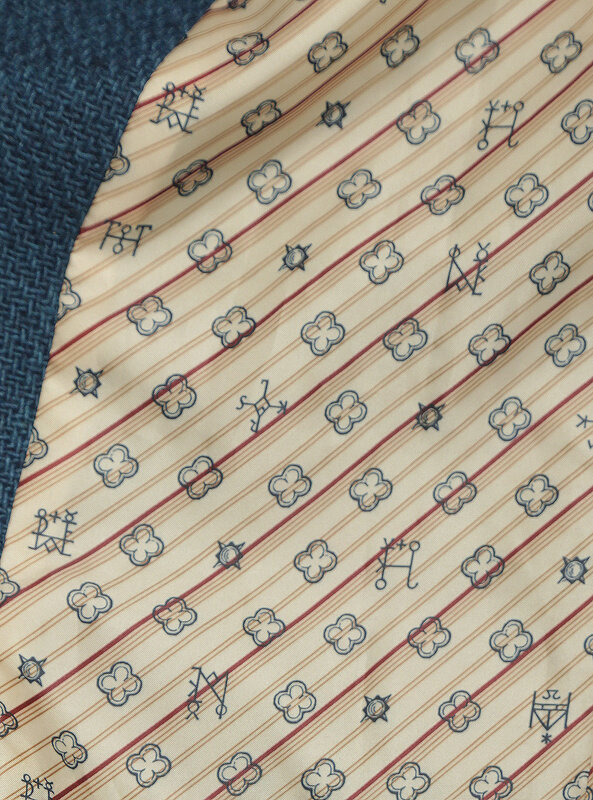 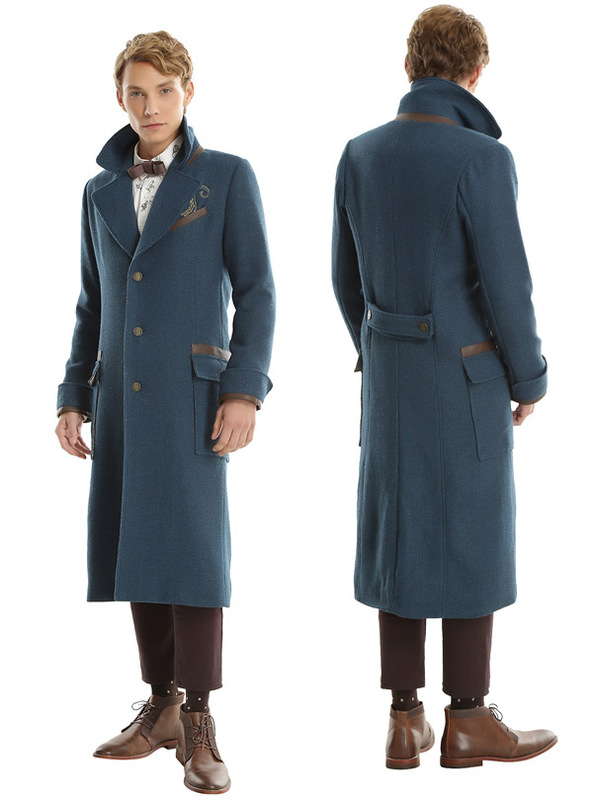 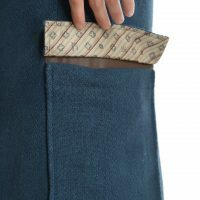 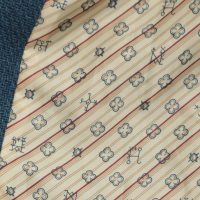 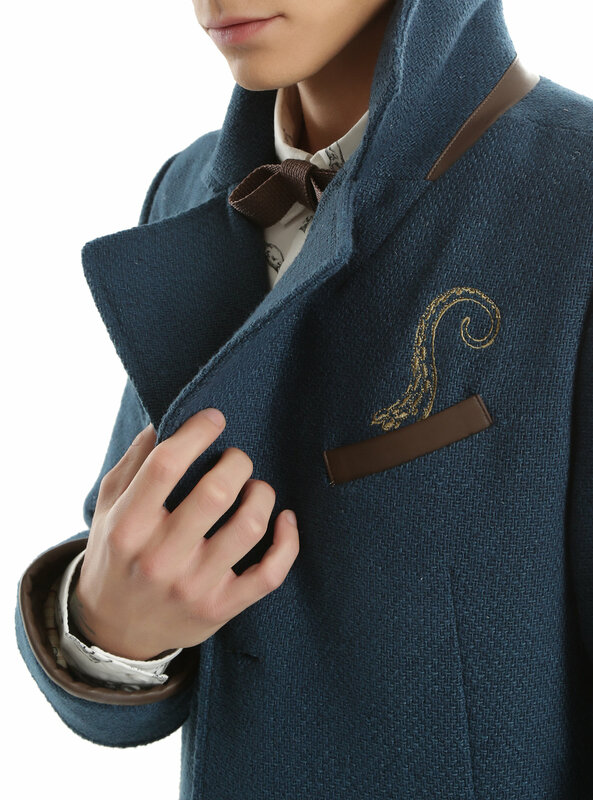 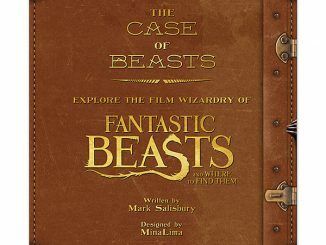 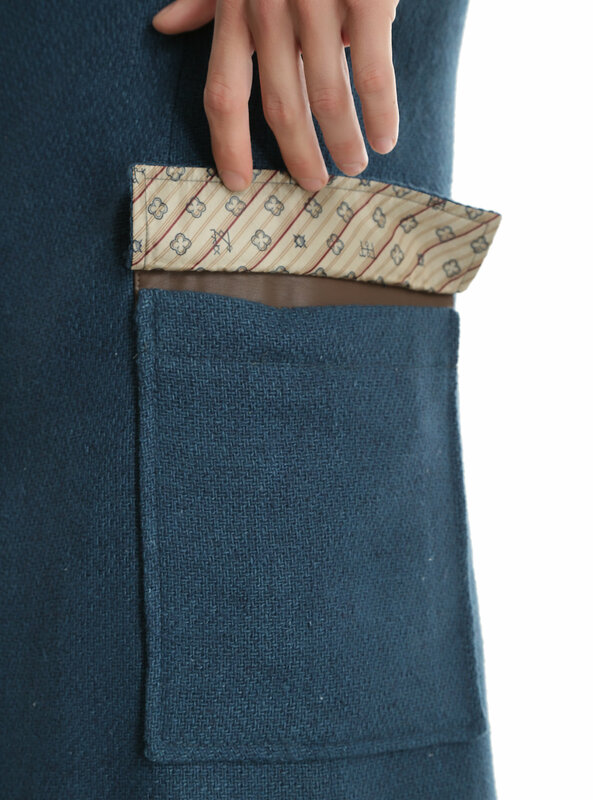 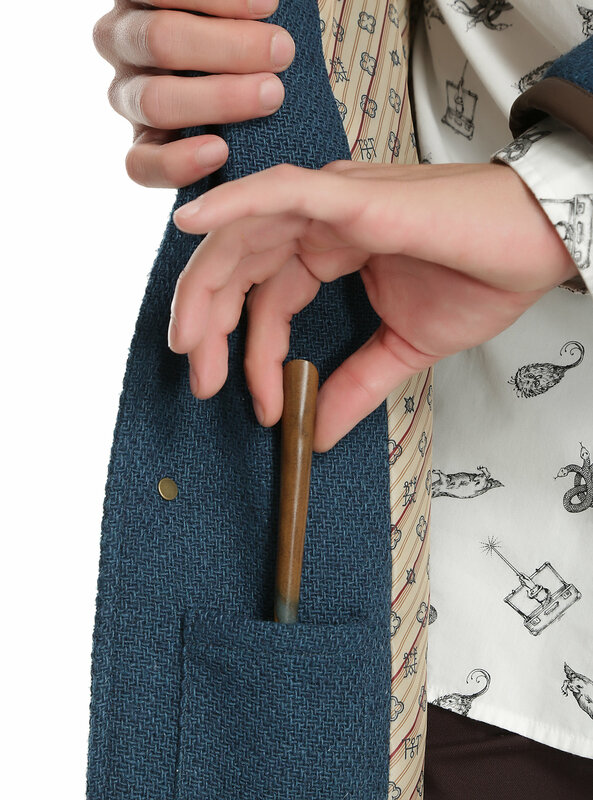 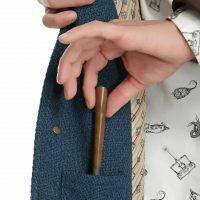 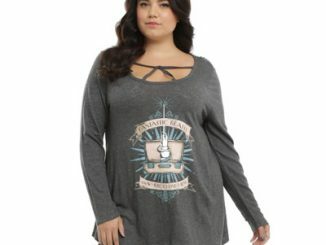 In addition to the eye-catching teal color, the jacket also features brown faux leather cuff and pocket accents, a gold embroidered tentacle peeking out of the left breast pocket, burnished gold “Newt Scamander” branded buttons, a brown, striped, satin lining that matches the lining of Newt’s very spacious suitcase, and an interior pocket for your wand. 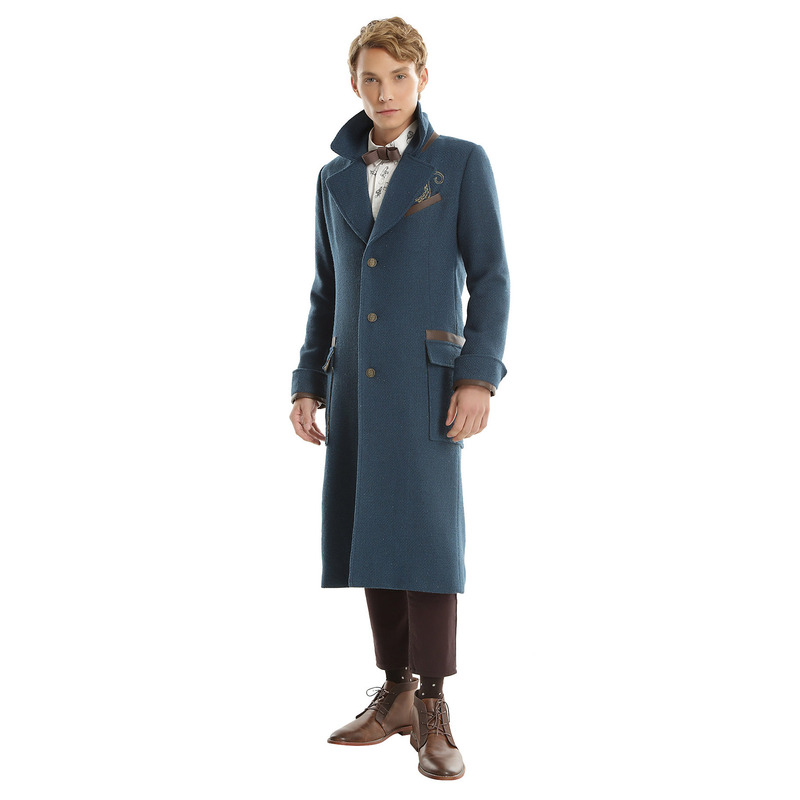 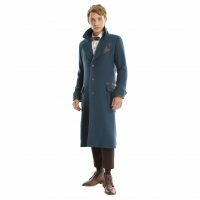 The Fantastic Beasts And Where To Find Them Newt Scamander Overcoat is available for $79.90 at Hot Topic.